Even superheroes need to rest, reflect and rejuvenate. So do leaders. 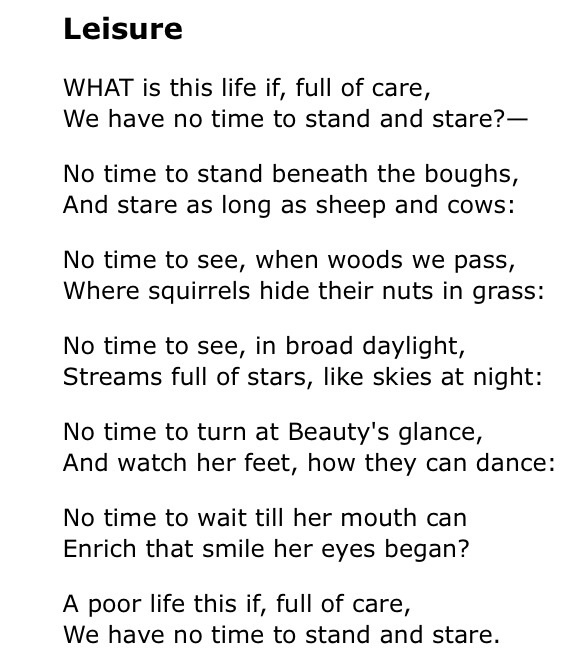 "While I was reading the poem IF by Rudyard Kipling, it reminded me of one of my all-time favorites “Leisure” by William Henry Davies (a Welsh poet [1871-1940], who largely lived a nomadic life). Pls allow me to share."